Newton's Nook Designs: New Inky Paws Challenge #39! 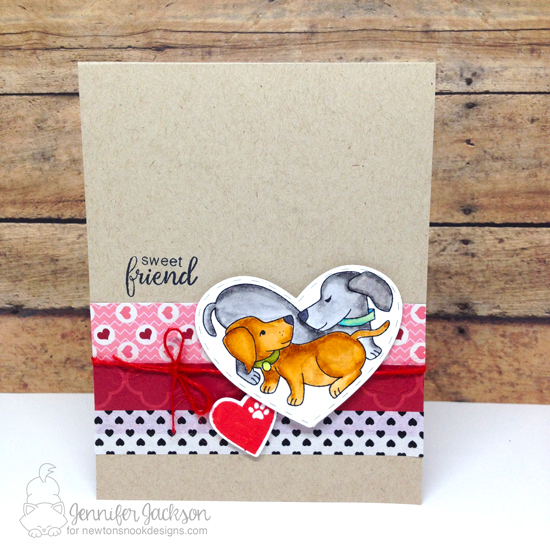 I created a cute doggie Valentine card using our Darling Duos stamp set! I stamped the doggie duo on watercolor paper and colored them using inktense pencils and a water brush. Then I trimmed them out using the coordinating Darling Hearts Die set. I also stamped the image of the heart with the paw print in bright red from the Darling Duos stamp set and cut that out with the Darling Hearts Die set. To make the card, I added some fun pattern paper and a stripe of black and white heart washi tape to a kraft card base. I stamped the "sweet friend" sentiment, also from the Darling Duos stamp set in black. I added on the fun images and some red twine! Hope you enjoyed this project. 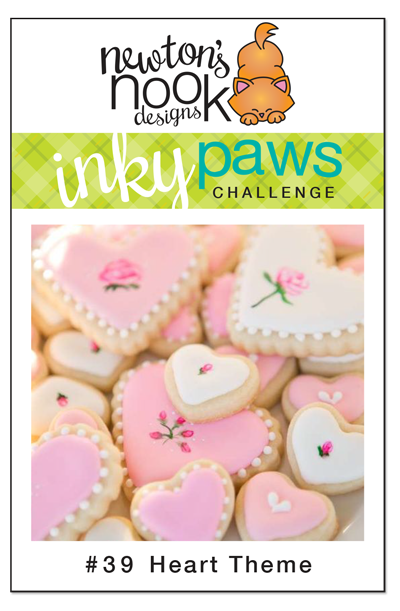 You can play along with this inky paws challenge until Jan. 27th! Just use NND stamps and a heart on your card. 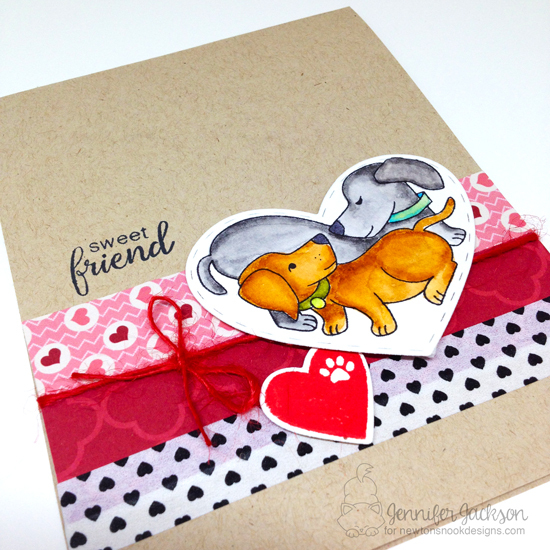 Find details on the Inky Paws Challenge blog. Adorable card! Love all the hearts! Turned out really great! Plus the coloring is amazing!!! Oh this is just darling! Love the different patterns of the paper and tape! Fabulously done!